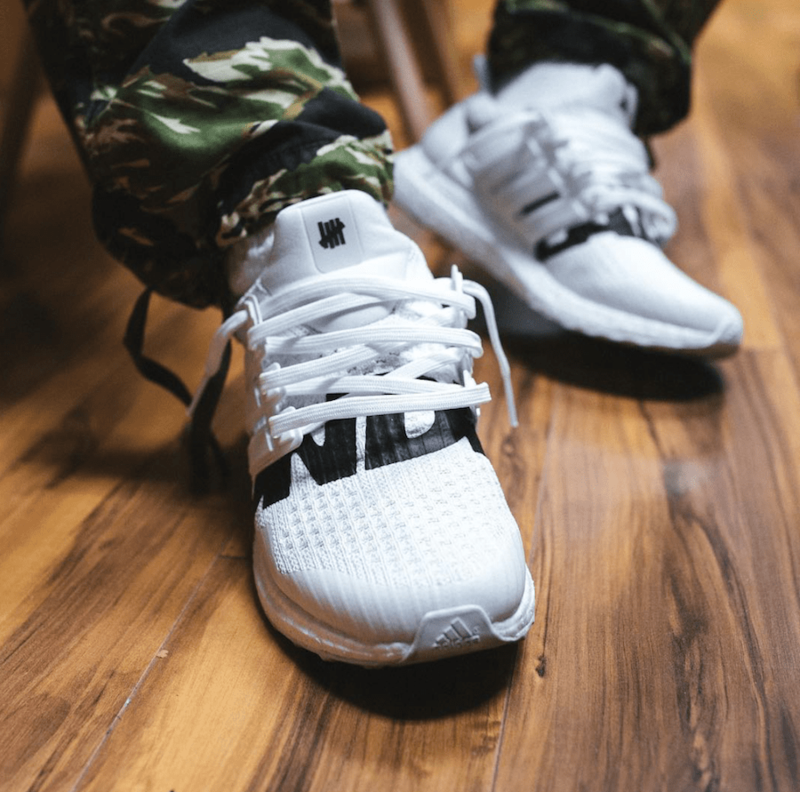 The Undefeated x adidas Performance collection is set to release next month. 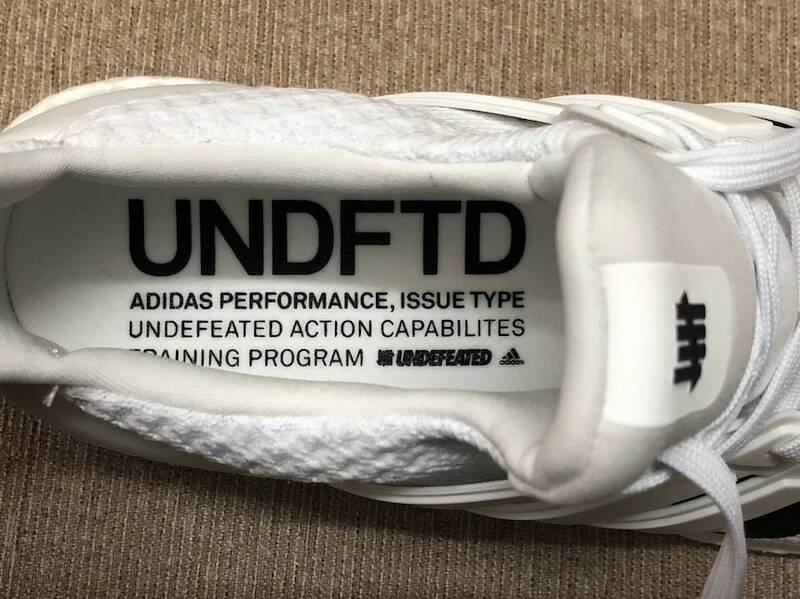 When official images of the project first appeared earlier this week, fans were puzzled not to see the white colorway of the UNDFTD Ultra Boost. Now we know why. Undefeated and adidas are finally set to release their performance collection. Shortly after the footwear side of the project was unveiled online, UNDFTD CEO Eric Peng Cheng took to Instagram to show off another shoe. 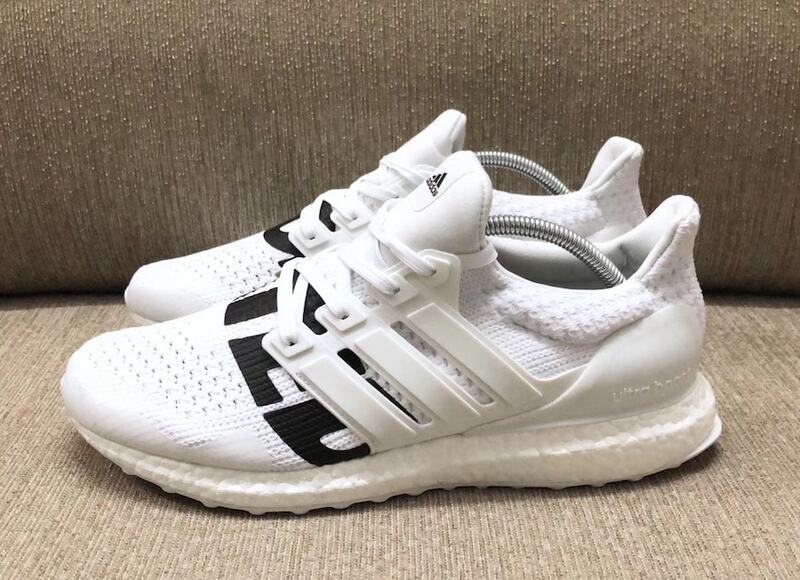 The white Undefeated x adidas Ultra Boost, which first leaked alongside the black pair, will not be as easy to grab as the rest. Along with the Undefeated exec’s photo, new information says that this pair will release exclusively in-store at the West-Coast retail chain. Numbers will be very limited, so start saving if you don’t have a connect near the store. 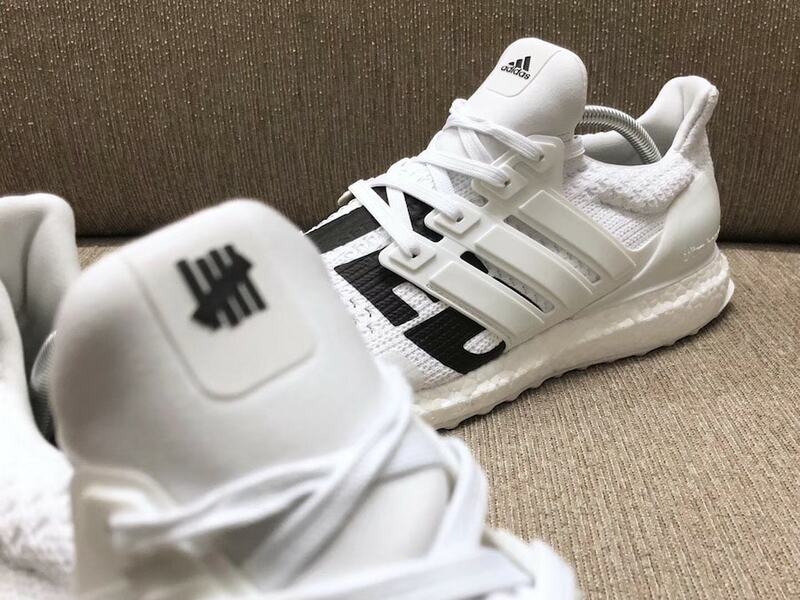 The triple-white adidas Ultra Boost emblazoned with the Undefeated logo across the toes has been building excitement for months now. 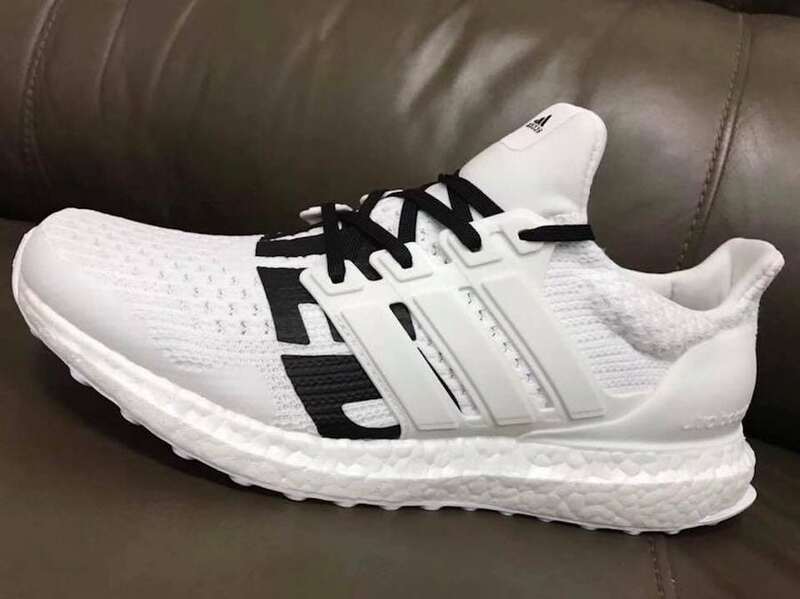 With limited pairs set to hit the market, this Ultra Boost is going to cost a pretty penny on the resale market. 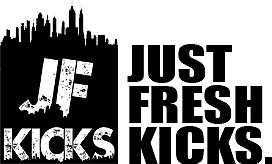 However, those living in California, Arizona, Nevada, and Japan should check out the list of Undefeated stores for a chance to score a pair for retail. The new Undefeated x adidas Ultra Boost will drop with the rest of the collection on April 14th, 2018. The white colorway will be extremely limited and sold exclusively at Undefeated retail locations for $200. 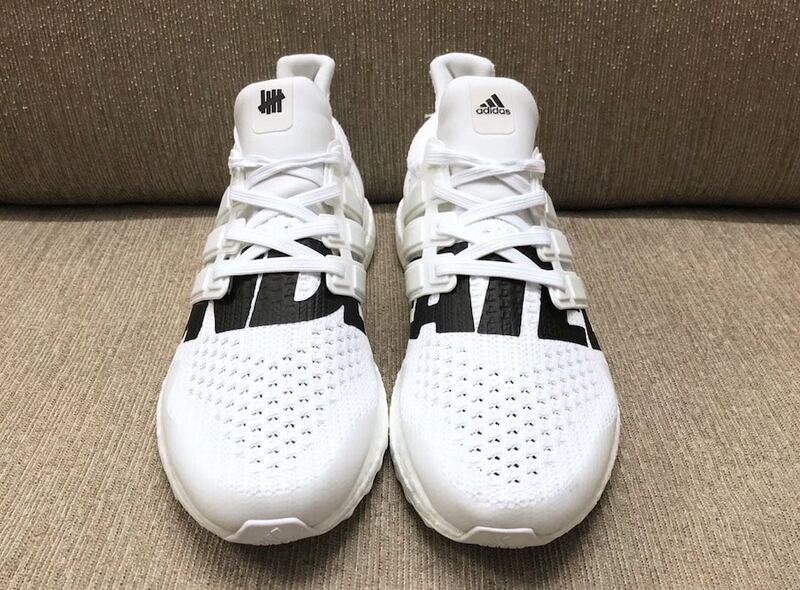 Check out some early images of the shoe below, and stay tuned to JustFreshKicks for more adidas Consortium news.